To start a tradition, do something twice. Last year I posted a retrospective of a year in fifty-two books. 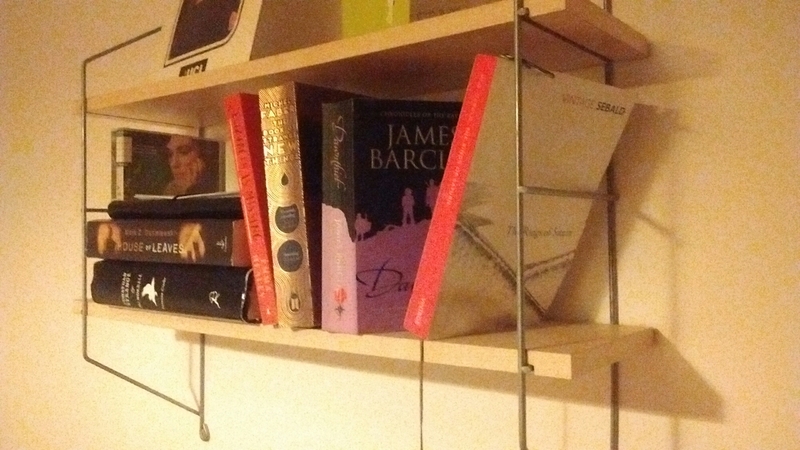 Last year, displaying stalwart consistency, I once again read exactly fifty-two books. You can read my ‘year in books’ on Goodreads here. It seems that the shortest book I read was Robert Louis Stevenson’s Olalla, and the longest was Susanna Clarke’s Jonathan Strange & Mr Norrell – on which more below. My ‘average rating’ was 3.1, which seems indicative of a balanced, sensible sort of personality. The kind of person who eats enough fibre and knows not to read the comments. I’d love to lazily replicate the format of last year’s post (best fic, best non-fic, worst fic, worst non-fic), but my sample doesn’t support that approach: I just didn’t read enough non-fiction this last year. Specifically, not enough bad non-fiction. I read a lot of literary criticism when I was writing my dissertation, but the only books I bothered to read cover-to-cover were the ones which were worth it. Nor did I read too many books which made me properly furious: just a few common-or-garden clangers. And Howard’s End. Hence, I’m relegating non-fic and bad books to a footnotey category below, and plunging ahead with a Best 3 Fiction rundown. The usual disclaimer: these are all books which I read in 2015. Very few of them were actually published so recently. “A set of misunderstandings” doesn’t quite capture the elusiveness of Ridgway’s detective story, but if elusiveness could be captured it wouldn’t be elusive, now would it? 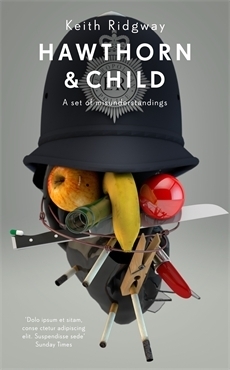 This 2012 novel is apparently a standard London crime drama with embittered cops and baffling clues, but just when you think you’ve got it by the conventions, it wriggles sideways and talks about something else. 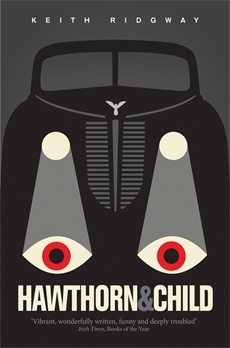 It’s difficult to summarise Hawthorn & Child without giving too much away – even in tone – but it’s probably safe to say that this book features London, crimes, late nights, sexual encounters in seedy environments, and grotty cafés. It plays with genre without veering into Mitchell- or Calvino-style clever-dickery: rather than any movement towards pastiche, it frustrates the usual detective-story logic (crime –> clue –> bafflement –> epiphany –> solution) in order to tell us more about its setting and characters. In this BBC World Book Club interview about his novel The City and the City, China Miéville discusses how crime-fiction fans insist that a book mustn’t cheat: the solution must be extricable from the problem, the criminal internal to the list of potential suspects. In its fuckery with setting, The City and the City is a brilliant detective novel, and reading it alongside Hawthorn & Child would be a rewarding (and riotously enjoyable) exercise. But H&C does something TC&TC doesn’t: it cheats. Because it cheats, it frustrates. And it’s so much the better for it. 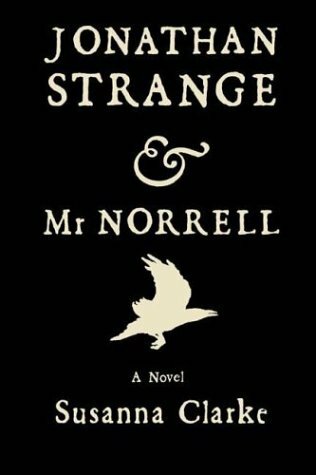 On a year when I read really good, weighty books by James Kelman, Alice Walker, Ali Smith, Alasdair Gray and others, it seems flighty to leave them out in favour of such a light delight as Jonathan Strange & Mr Norrell. However, star ratings don’t lie: this was one of only two books in the last year which compelled me to click the fifth star on Goodreads. Besides, light doesn’t mean worthless: like Peake, or Conan Doyle, Clarke creates a world which is thrilling and silly and slightly arch, but rich and inventive too. In this huge book, a cantankerous old magician and a foppish younger one battle to restore the forgotten art of English Magic (an ancient, dangerous thing where fairie doesn’t mean flimsy: think Susan Cooper rather than J. K. Rowling; Terry Pratchett’s cruel, arrogant elves rather than Tolkien’s virtuous ones). Meanwhile, Clarke’s author-persona – who isn’t named, but has the feeling of a gossipy, smart young woman who would happily trade repartee with Austen and Radcliffe – enmeshes the narrative in a web of scholarly footnotes which point to an invented universe far larger than the 800-page glimpse we get here. There’s the odd wobble in the later sections, but nothing which derailed my enjoyment of an exquisite Victoria sponge of a fantasy novel. This speech made it into the Henry Fonda-led movie of the novel, too. Of course it did. It’s Hollywood-happy, American-dream sentimentalism. And it’s the worst part of the book. I read Alice Walker’s The Colour Purple soon after Grapes, and feel it deserves a mention under the same entry. Walker and Steinbeck use words to puncture social hierarchies, to wrest the power of assumption away from land-owners and man-owners and law-makers, and place it, locked and loaded, in the hands and eyes of the rightfully furious. Art can still rip, still leave a scar, and we should punch the air and roar with triumph every time it does. Howard’s End by E. M. Forster is the worst book I read this year. I can’t summon up much spleen against it; it’s simply dull. The inconsequential problems of the uninteresting rattle on for an age or three, and then the book ends and you wish that you’d read something else. Michel Faber’s The Book of Strange New Things is a slightly more interesting bad book. Like most properly infuriating literature, it has a great deal going for it. 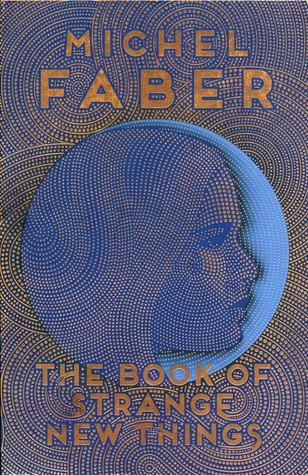 It has an interesting sci-fi scenario with lush writing (the twirling columns of rain on Oasis are beautiful in the mind’s eye) and a fascinating alien species, and when things start to go wrong in the long-distance (really long-distance) correspondence romance between protagonist Peter and his wife Bea, reading the tense letters becomes compulsive. It took an effort of will to read the letters in full, not just skim ahead to find out: were they okay? Were they falling apart? But neither Faber nor his novel (assign the intention to whichever you prefer) seem to have any sense of what terrible people Peter and Bea both are. They are creepy in their piety, manipulative in their claims to kindness, and while Bea’s bossiness may be excused in the face of interplanetary domestic squabbling, Peter’s feeble reactions to it are simply wearisome. The book drew me in with alien worlds, then left me feeling as though I’d been cheated into listening to two people I disliked (on both petty and ideological levels) have a protracted tiff. “Art Severin professed to have none [ie, no faith] … Art Severin isn’t here any more, he’s somewhere else, somewhere where we can’t be … we are souls shut inside a cage of bones; souls squeezed into a parcel of flesh. We get to hang around in there for a certain number of years, and then we go where souls go. I believe that’s into the bosom of God. You may believe it’s somewhere different. But one thing’s for sure: it’s somewhere, and it’s not here. Now, I’m an atheist. And you may not be. You may agree with everything that Faber, or Peter, declaims from his pulpit. But if a church employee were to use my funeral (or, to make this less morbid, my birthday. Or my half-birthday) to preach a sermon from a theological position he was fully aware I totally rejected, you would not hail his inclusivity, the way Faber’s novel does, and reflect that this was the moment where his new community began truly to respect him. You would act as though I had stood up at a Christian (or Humanist, or…) ceremony, knocked over some furniture, and begun haranguing the congregation with the First Gospel of Enya. David Kynaston’s Austerity Britain: 1945-1951 uses diaries and Mass-Observation records alongside the work of more illustrious historical and historiological sources, to create a really rich, myth-busting image of postwar Britain. Catherine Belsey’s Critical Practice is stellar literary criticism. Extremely strong on the way in which the ‘consolations’ of realist fiction can lead to the form becoming an apology for existing socio-political structures. I quoted it at length in my MSc dissertation, and also in my recent(ish) review of Waiting for Godot at the Edinburgh Royal Lyceum. And Arundhati Roy’s Capitalism: A Ghost Story is difficult for me, with my total ignorance of Indian society, to judge, but I am confident that it speaks lucidly and convincingly on the danger of replacing demands for progressive reform with an ‘identity politics’ which seeks only to empower certain underpowered groups, and then only by subsuming them into the mainstream politics of individualism. Thanks for reading! 2016’s off to a slow start for me in terms of reading, mostly because I’ve been moving to London which, it turns out, takes a lot of energy. But also because I keep trying and failing to get into W. G. Sebald’s Rings of Saturn. I’m putting it aside for a while while I read through Belsey’s A Future for Critcism, and then I believe I’ll treat myself to Hugh Howey’s Wool. But then you never end up reading the books you expected to, do you? Previous Post Maybe I’m a Londoner?